These colorful egg baskets are handmade in the Philippines from abaca fiber. 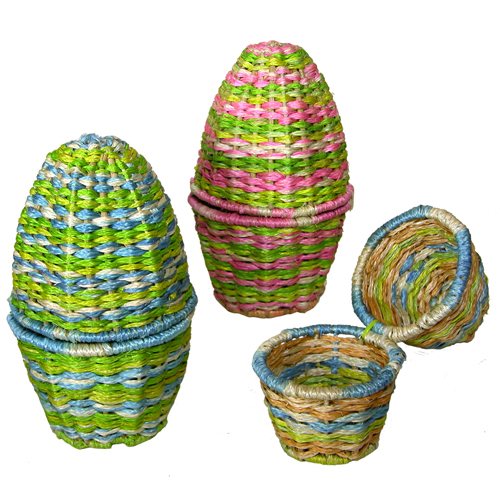 The fibers are naturally dyed and woven together to form the eggs. 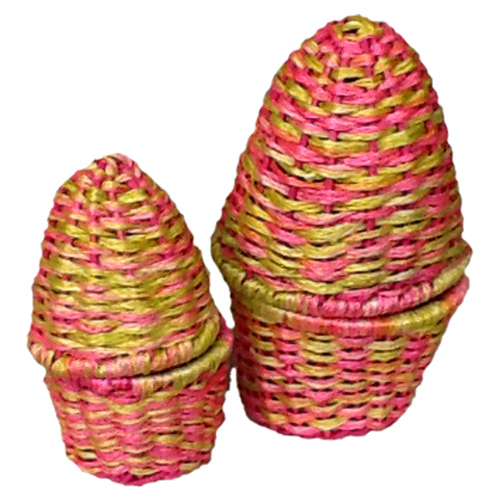 They are great for holding eggs at Easter, and to gift to that special someone as a decoration; when Easter is over they can be used to hold tea bags, nuts, spices and small packages of food in the kitchen. 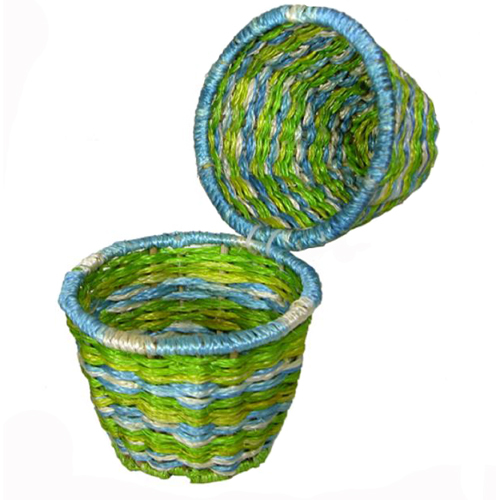 They come in a set of 2 (1-large & 1-small) and you can choose from Blue or Pink tones. The Abaca plant is a close relative of the banana. It’s known for its strong fiber, that is extracted around the trunk of the plant, and for its many uses in the production of paper, tea bags, ropes, coarse bags, clothing, curtains, and home furnishings. 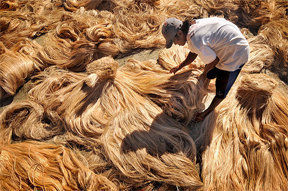 Abaca is also known as “Manila Hemp” and years ago, gave rise to what we know today as Manila Folders, because they were originally made from Abaca. 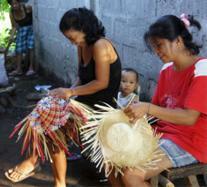 The Philippines is the world’s leading producer of abaca; it produces 85% of the world’s fiber. On these islands, it is also benefiting by helping to rehabilitate degraded forests and to prevent soil erosion. A year after replanting abaca, it propagates and is ready to harvest and to be replanted to continue conserving the area’s rich bio-diversity and to mitigate climate change.